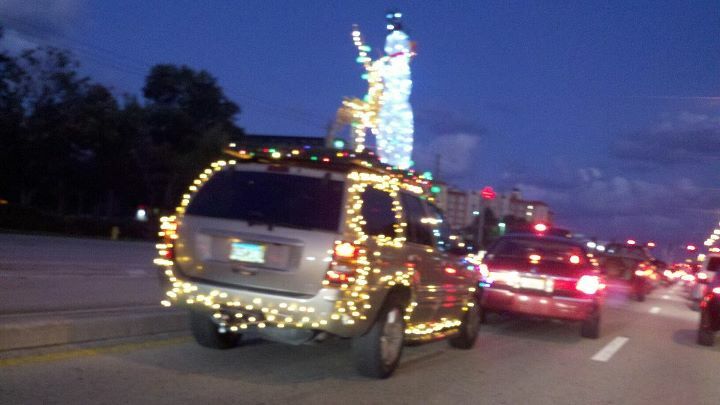 No doubt, the Christmas season is upon us. We may not have snow, or even cold weather, down here in the Deep South, but what we do have more than makes up for those old yule icons of yor. Those Northerners must be thinking, "how does anyone know its Christmas time in the South if there's no snow, and it's 78 degrees?" Yes, cars! 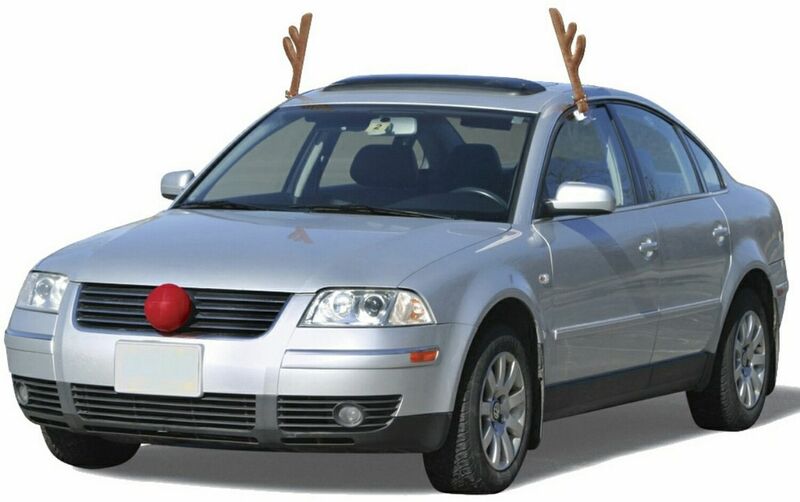 Now we can all be assured Christmas is near when the highways and byways of our bustling little burbs become flooded with cars sporting fake fluffy antlers, and even big red balls, affixed by any means available to door frames and front grills. Gone are the days where respectable Southerners declare their allegiance to their college of choice (either Alabama or Auburn, doesn't matter which one) through colorful flags, hanging on for dear life with tiny plastic stands wedged into car windows; tiger tails hanging out of trunks. Maybe, just for this special season, these icons of allegiance are replaced with sway-back antlers. The really smart drivers provide the addition of the big red nose to the front grill for safety. I mean, it IS still deer season you know! You'd be surprised to know how many times that nose saved the unsuspecting driver from lead poisoning as Hunters sat in tree stands, just a short distance from a major highway, and saw antlers speeding by. Can you blame them for shooting? After all, if they didn't take a shot, at the speed those antlers were traveling, the ... ahem, deer would surely get away. It's that nose that makes 'em stop. That big red nose that surely helps those hunters understand that the deer they are getting ready to barrage with lead, is none other than that most famous reindeer of all - Rudolph! Yep, that big red nose, blocking cooling air from the radiator, is truly the device that must've saved countless lives, although we can't prove it. 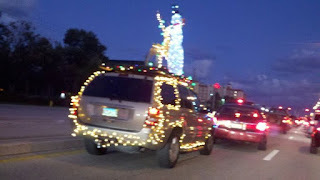 But hey, if it makes you feel any better, I hear some Northerners go way beyond any normal, sane decoration, and light their cars up like Christmas trees!